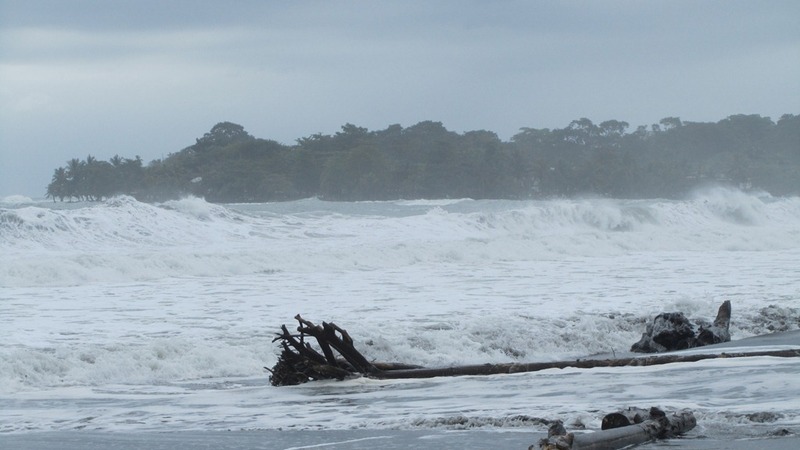 So–what happened to the beach?? Today Tom came back from walking the dogs and said that he hadn’t been able to walk them on the beach because it was covered in water. 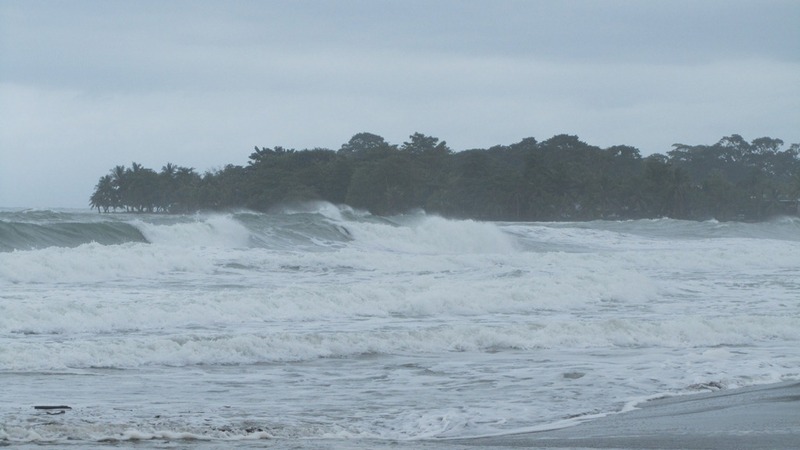 The storms in the Caribbean have caused a bit of havoc to our normally calm ocean. So I headed down to see for myself and it really was amazing!! I love the ocean and how it changes. Here are a few pictures of what it looks like today. 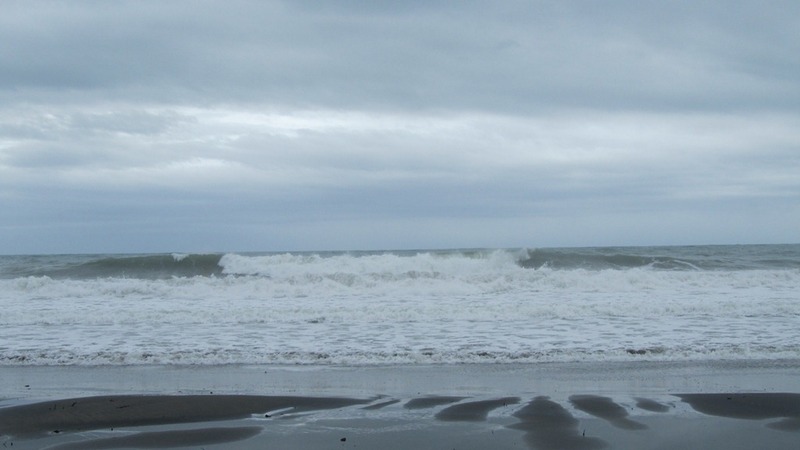 The water drove the horses that normally wander on the beach in the early morning to the road. As I walked along, one of them came up to me looking for food but I didn’t have any for them. 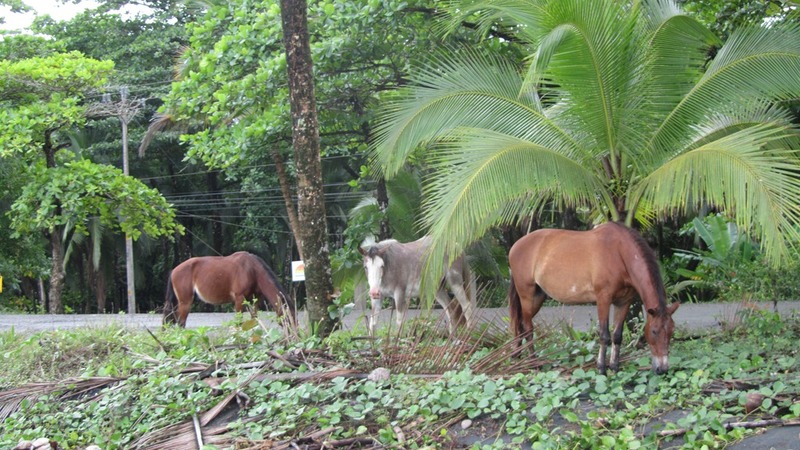 Not that there is any need to worry – these horses have more food than they could possibly eat – they rule Playa Negra. 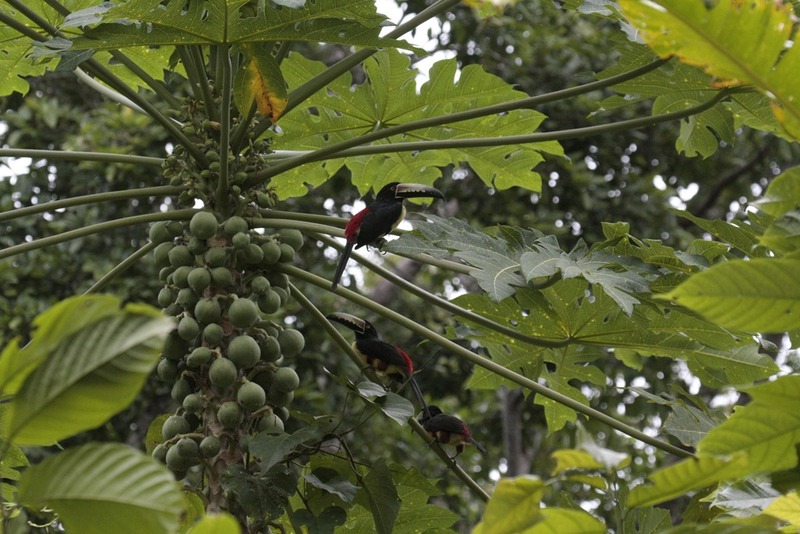 As a parting gift to me today the Collared Aracaris showed up on our papaya tree this afternoon to snack. I love all these birds!!! Waiting for your next blog!! !